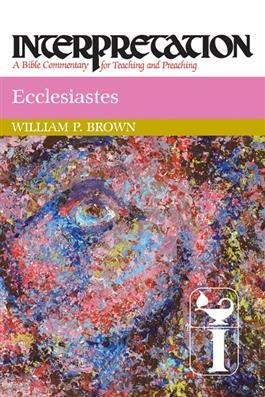 Eccl esiastes is a collection of sayings traditionally attributed to Solomon and deemed by some the strangest book in the canon. It comprises an unusual blend of autobiographical references, theological reflections, philosophical musings, and proverbial instructions, all probing the seeming pointlessness of human striving. Brown explores the text as it engages our own culture's era of questioning and search for self-fulfillment.